It is hard to believe, but soon the temperatures will go down, it will get darker earlier and the kids will have to go back to school. It’s true, Fall is upon us. Thankfully some of our favorite holidays are in the season dominated by romantic hayrides and Pinterest-worthy foliage. 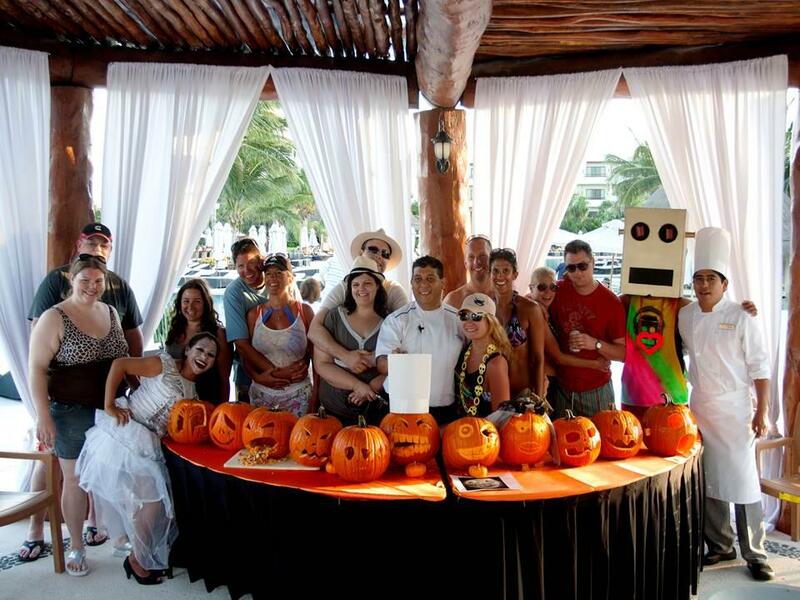 Be sure to join Secrets Resorts & Spas for our special celebrations. 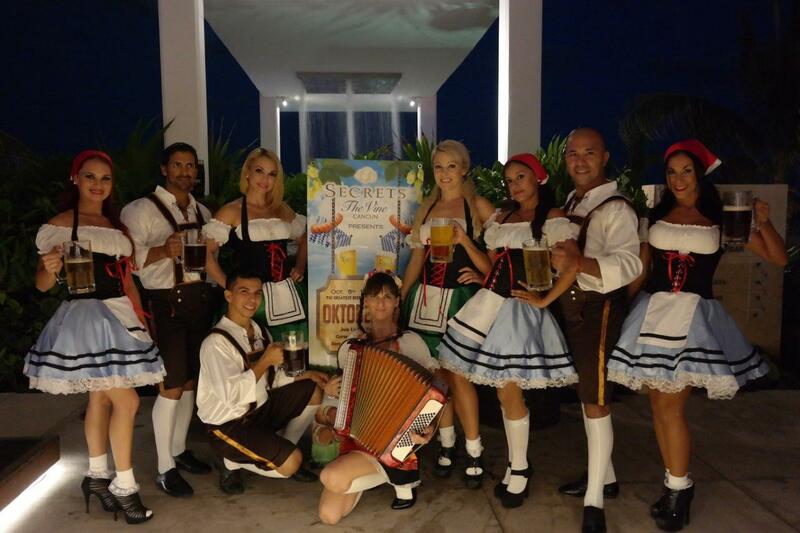 Oktoberfest at Secrets Resorts & Spas is the opportunity for two vacations in one! While soaking up the sun and enjoying the beautiful beaches of Secrets Resorts & Spas, be transported to the amazing land of Germany. Discover traditional entertainment and German beers served in the authentic size, the liter! With delicious bratwurst, pretzels and genuine desserts to match, you will be shopping for your own lederhosen before you know it! Stay tuned, we’ll have all the details coming soon for this celebration! “Lions and Tigers and Bears, O My!” You never know what will be waiting around the corner for you at Secrets Resorts & Spas for our Halloween party! Join us in celebrating this centuries old tradition with a day of pumpkin carving, themed parties and of course a Halloween Ball. Be sure to pack your costume! Whether you are going as a fun loving Hippie, famous fairytale couple or witty pun, you don’t want to be left out of this spook-tacular party! We are very excited to celebrate with all of our Canadian guests the traditional day of Thanksgiving! Be sure to join Secrets Resorts & Spas for an incredible day of celebration with special programs and events all centered on the classic harvest season. Even at the beach, Thanksgiving has never tasted so good with special menus in all our restaurants and of course, a Thanksgiving Feast to celebrate the many things we have to be thankful for all year round. We know you already have the perfect couple’s costume! Ditch the cold and celebrate with us in paradise. Take advantage of incredible rates of up to 40% off and up to $400 USD in resort coupons with Hot,Hot,Hot. Reserve your getaway now through July 27th for travel until December 23,2015 for this great special offer! This entry was posted in Secrets Aura Cozumel, Secrets Capri, Secrets Huatulco, Secrets Maroma Beach, Secrets Playa Mujeres, Secrets Puerto Los Cabos, Secrets Resorts & Spas, Secrets Royal Beach, Secrets Silversands, Secrets St. James, Secrets The Vine Cancun, Secrets Vallarta Bay, Secrets Wild Orchid and tagged Fall, Halloween, Oktoberfest, Secrets Resorts & Spa, Special Events, Thanksgiving. Bookmark the permalink. ← We Are Proud to be Green at Secrets Maroma Beach!